A single bottle of Valdobbiadene Prosecco Superiore D.O.C.G. 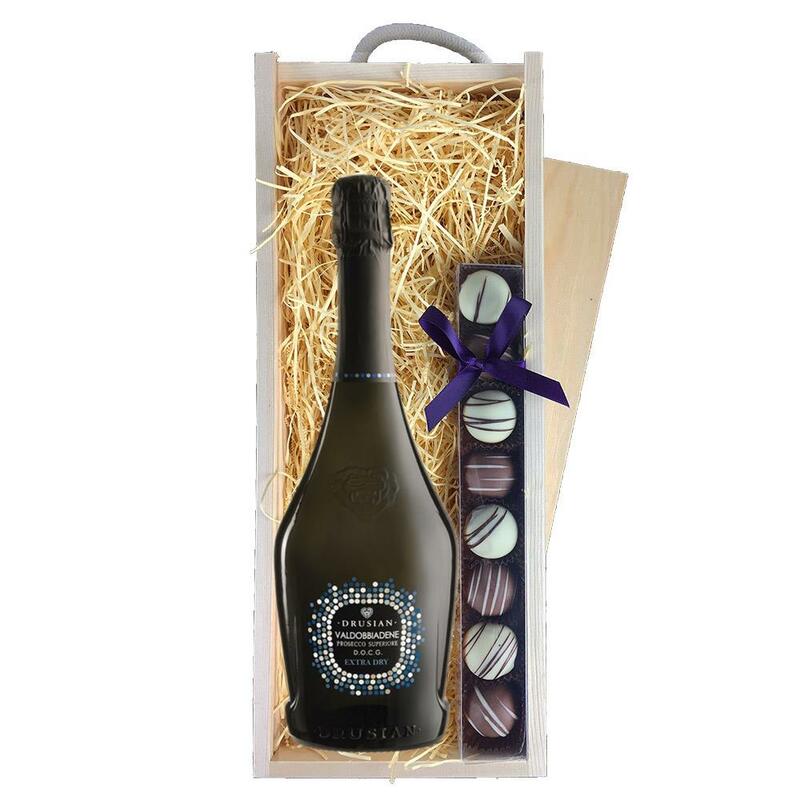 Spumante 75cl and a single strip of fine Hand Made Truffles(100g) Presented in a wooden gift box with sliding lid and lined with wood wool with a Gift Card for your personal message. Valdobbiadene Prosecco Superiore D.O.C.G. Spumante Sparkling white wine made from the Prosseco grape in hilly terrain and fermented in tanks according to the Chaemat method. This wine expresses the utmost in quality, the harmonic structure accompanied by the delicate aroma of apple. The combination of this wines freshness and its fragrance together a fine and agreeable as an aperitif or with fish dishes. This product is hand packed onsite by Bottled and Boxed, and is not affiliated with any other brand. Bottled and Boxed is responsible for this product combination/set.